I feel inspired! This is beautiful Joan! 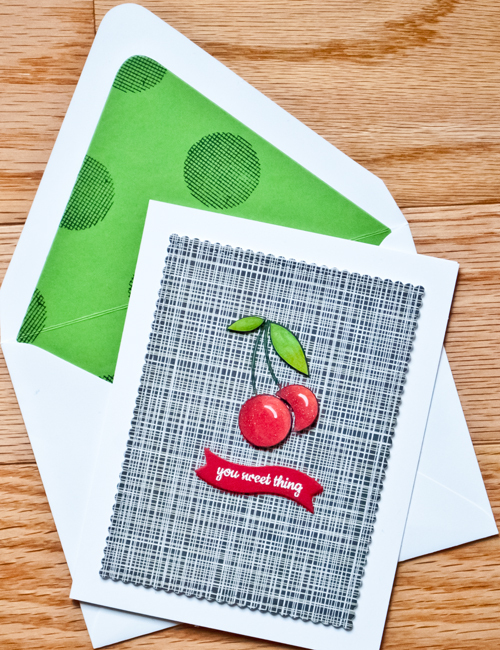 Joan, your card is marvelous; a most inspired debut to spark our mojo into action (mine better be sparked into action...it's been vacationing for far too long!). Your how-to list is awesome...and funny! Seriously AWESOME fussy cutting! Those cherries look very real :) - I will be playing! 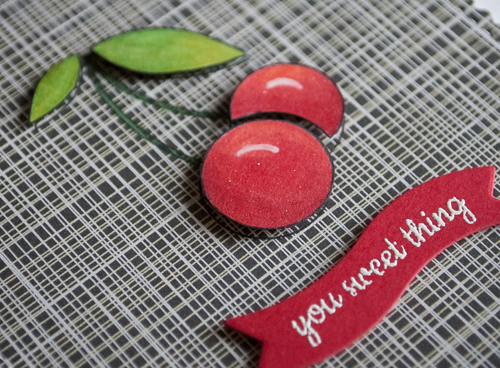 Cherries represent summer to me - I can't wait to see how everyone is inspired by your beautiful card! So inspiring ... love it. Sweet simplicity! Love the sentiment with this. Funny about all those necessary supplies. It takes a village! PS: LOVE your steps in creating this card!